The gut, or digestive tract, is an organ that digests our food in several stages. As part of digestion it takes all the useful parts from the food we eat and absorbs them so our bodies can make use of them in the constant act of staying alive. It links with other organs like the liver, and pancreas; and it protects from poisons; stores and transports nutrients; reabsorbs water and gets rid of the stuff we can’t use. It also plays host to many different species of bacteria that live in symbiosis with us. These bacteria have a constant source of food and in return they provide functions such as extracting nutrients, making vitamins and training our immune systems. Because the gut is such a complex organ requiring lots of things to all work together, occasionally it can stop working as well as it should, and this can cause symptoms such as diarrhoea, constipation, nausea, pain, bloating and wind. These conditions can range from being mild to severe, but usually indicate that something isn’t quite right, so if you suffer persistently from any of them it’s really worth checking out. It’s important to realise that these symptoms may indicate some quite serious conditions like coeliac disease, Crohn’s disease or even bowel cancer so ignoring the problem could make things a lot worse. The really good news is that so many people see real improvements in digestive complaints when they get treatment. However, a new survey carried out by Love Your Gut has found that 1 in 4 people delay going to see a health professional for over a month and of those people, nearly half were delaying because they are embarrassed. But as a dietitian I spend a great deal of time talking about bowel habits, and so does your GP. Health professionals are really used to talking about poo, because what your gut is doing plays an important role in so many health conditions. 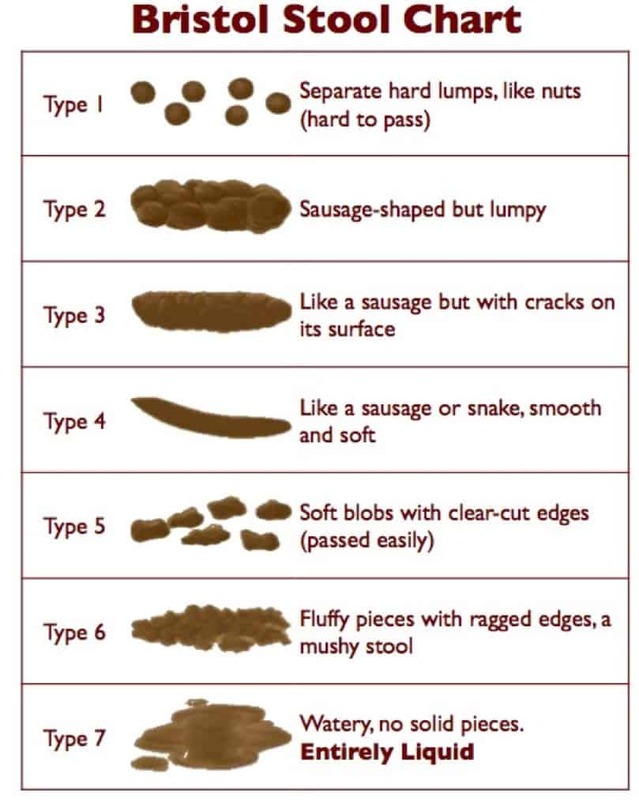 In hospital wards most patient’s notes have their own sheet devoted to poo – including what it looks like – so there is really no need to be embarrassed! If you do feel a bit uncomfortable talking about this intimate part of your life below are a few phrases that are used in the medical profession that might help. Love Your Gut have also launched some new tools to help you assess your digestive health. Head over to their website www.loveyourgut.com to find the Digestive Health Assessment tool, a Food and Symptom Diary, a dedicated Love Your Gut Facebook Group and the launch of the annual ‘State of the Nation’s Gut’ report which this year looks further into this topic.